If you were as excited as we were last year at the settling of Knoxville Film and Music Festival over in Scruffy City Hall, all I can say is: Prepare to change your shorts, Jake. Because the festival is back, bigger and better than ever. 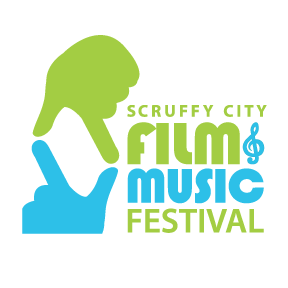 And with a new name, no less—Scruffy City Film and Music Festival, in honor of both the city and the venue which are now its permanent home. That’s right, from the opening-night party, 6 p.m. April 28 at Scruffy City Hall through the closing night awards gala May 3, the festival will encompass six days of movies, music, mayhem, and libational over-indulgence for local cineastes and music lovers alike. • Tuesday, April 28, “Butch Walker: Out of Focus”: Singer/songwriter Butch Walker has enjoyed a singularly weird career. Anyone remember SouthGang? Didn’t think so. They were a band of heavy metal hair farmers that enjoyed a moment or two in the sun circa the late 1980s, scored a minor hit with the MTV video/single “Tainted Angel” off an album of the same name. After quitting SouthGang, Walker scored another minor hit or two with Marvelous 3, a power-pop outfit from the mid-to-late 1990s. Since then, he’s become a sought-after songwriter and producer, fronting his own alt/pop/rock outfit when he isn’t penning or producing hits for the likes of Fallout Boy, Weezer, and Panic! at the Disco. “Out of Focus” traces the strange trajectory of Walker’s career, looks at the strained family relations that have resulted in its wake, and introduces us to his cadre of loyal followers as he and his band The Black Widows travel the globe and record an album. • Wednesday, April 29, “Out of Nothing”: There’s something just a little crazy about the notion of zooming around at a couple hundred miles per hour on a two-wheeled contraption you slapped together in your own garage. This Chad DeRosa documentary takes a look at the strange subculture of motorcycle land-speed racing, following four men as they strive to build and run the fastest bike. Set against the breath-taking backdrop of Utah’s Bonneville Salt Flats, a veritable post-Apocalyptic wasteland where racers can run free without fear of… well, without fear of running into anything that matters. Must be seen to be believed. • Thursday, April 30, “A film About Kids and Music”: A documentary focusing on Barceloa’s Sant Andreu Jazz Band, founded in 2006 for children ages six to 18. With a repertoire that includes classic jazz and swing, the band has become an international concert and recording success, and has sent several of its youthful alumni on to careers as professional musicians. The doc was an award winner at Austin’s Lights. Camera. Help. festival in 2013. Fields is a renowned journalist, author, music exec, and all-around character who managed the Stooges and the Ramones, worked with Jim Morrison and the MC5, and kick-started his career at the the Factory in New York City in the mid-1960s, hanging with Andy and Lou and Edie and the Velevet Underground. • Sunday, May 3, “Made in Japan”: On November 9, 1964, singer Tomi Fujiyama stood alongside Johnny Cash on the stage of the Grand Ole Opry, and, at 21, earned the night’s only standing O. But Fujiyama’s meteoric rise to the cusp of stardom ended abruptly, when she was never able to return to the U.S.
At least not until now. “Made in Japan” is the story of Fujiyama, now 73, and her recent return stateside to play the Opry one more time. All of that and and a bag of chips, Jake. Oh, and some musical goodness from Live and Breathing, Knoxville’s very own music/video archival institution. See you on the 28th.